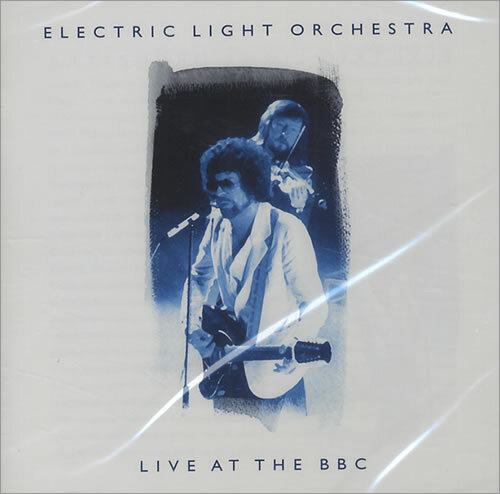 ELO 2xCD: Live at the BBC. Recorded in: Track 1 - 4:Paris Cinema, Lower Regentstreet. Track 5 - 11: The Hippodrome, Golders Green, London. Track 12 - 22:The Guildhall, Porthsmouth. Michael D´ Albuquerque: Track 1 - 11. Wilf Gibson: Track 1 - 4. Colin Walker: Track 1 -4. Mike Edwards: Track 1 - 11. Mik Kaminski: Track 5 - 22. Hugh McDowell: Track 5 - 22. Kelly Groucutt: Track 12 - 22. Melvyn Gale: Track 12 - 22.